This is round 2 for Super Doubles at Harris Teeter! 2 Driscoll's raspberries (these were BOBO and I had the .50 off coupon (you can hit your back button for a second print))=.99 each!!!! 2 Stonyfield 4 packs yogurt=.49 each (with 2 $1.00 off coupons that SUPER doubled )--these didn't make it in the pic! All this for under $10! Now through December 10th you can play the Walgreen's Stay Jolly Holiday Instant Win Game! You have a chance of winning gift cards so make sure to play daily! 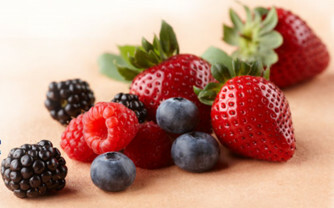 If you sign up for this newsletter, you will get a coupon for .50 off Driscoll's berries! This is a rare coupon. I know at my area grocery stores these fresh berries are sometimes buy one get one free, so this could make for a berry sweet deal (sorry, had to say it!)!!! Crazy Great Giveaway: Crazy Dog TShirt (Gift Card OR Mystery T)!!! I was lucky enough to discover this awesome t-shirt company called Crazy Dog T-shirts. They have so many funny t-shirts. They also have a bunch of vintage, "awesome 80's" t's that bring me back to my childhood. If you're looking for something more customized, they can even make your very own custom shirt as well. These would make perfect gifts for birthdays or the holidays! I mean, who wouldn't want a crazy, funny t-shirt?! I was sweet enough to pick out a shirt for my hubby (who just happens to love funny t-shirts)! It took me forever to decide--I wanted them all!!! 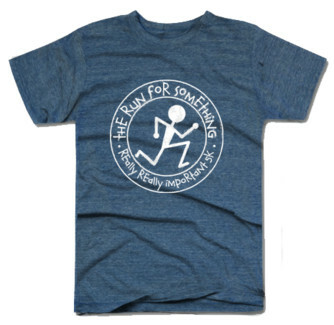 After looking at page after page of the awesomely funny shirts over at Crazy Dog Tshirts, I finally decided on "the run for something really really important 5K". We love to run in races (it's our new fav hobby), so I knew it would be a hit. The shirt is lightweight, but not too thin. The color is an awesome grayish blueish heather and really makes the image pop! My husband loves it (and so do I) . . . I think this may become his new "everyday" workout shirt! But the real reason this particular shirt won my heart is because for every one of these t-shirts they sell, they donate a shirt to a homeless shelter! How great is that?! Funny & caring! Head on over to Crazy Dog Tshirts and have a look at all the funny shirts they have! While most of the shirts are modestly priced at around $19.99, there are dirt cheap bargains to be had! For the truly Crunchy Deal, be sure to check out their daily deals where you can get a shirt for only $6.99!!! I love that they have a Mystery Shirt section where you can scoop up a cheap & funny shirt . . . and it's a complete surprise! Onto the truly CRAZY part . . . the GIVEAWAY! One lucky winner gets to choose either a FREE Mystery T-shirt (that is chosen by Crazy Dog Tshirts) OR a FREE $15 gift card for your choice of t-shirt!!! In order to enter this giveaway, check out all the great shirts and choose one from the tons of choices here! Then come back and leave me a comment letting me know which one you'd choose (the comment section is tiny at the bottom of this post!)! The Fine Details: This giveaway will close on November 17,2010. This is not a paid post. I was given a t-shirt from Crazy Dog Tshirts to review through SheBlogs. Crazy Dog Tshirts is also giving a t-shirt or gift card (winner's choice) away to one of my lucky readers! All of the opinions stated above are my own. The winner cannot have won or been given a shirt for promotional purposes in the last 90 days. The winner must have a US mailing address. The winner will be chosen by random and contacted by email. If no response within 48 hours, then another winner will be chosen. Harris Teeter: Super Doubles Time!!! Look what I got (& you can too!)! I heart Harris Teeter in general, but I heart Harris Teeter even more when it's SUPER DOUBLES!!!! 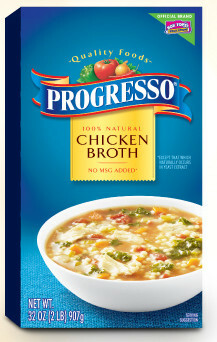 This week is super doubles (when they double coupons up to $1.98!!!). 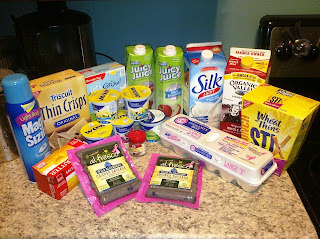 I got all these fabulous groceries (lots of natural/organic) for only $8.88!!! If you're looking for a list of all the awesome and insanely cheap Harris Teeter specials this week, head on over to Southern Savers. She's the best at compiling all the great finds. Note that some prices vary a little bit if you're in more expensive areas (like I am). Since I've personally been popping cough drop after cough drop this week, I'm super excited to share this Instant Win Game from Halls! 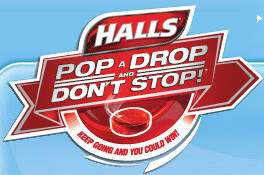 It's the Halls Pop a Drop and Don't Stop game and there's lots of awesome prizes! You could win a Volvo, a Sea Ray boat, Schwinn bikes, Gift cards, money & more! Just go here and use this code: 312546637788 or a UPC code from a bag of your Halls! After you register the first time, it's easy to keep signing in everyday (with just your email address & password). You only need to enter the code once when you first register. I just won a FREE bag of cough drops! I will be back daily to play until March 3, 2011! Go over here to sign up for a FREE sample of Tom's of Maine Toothpaste! 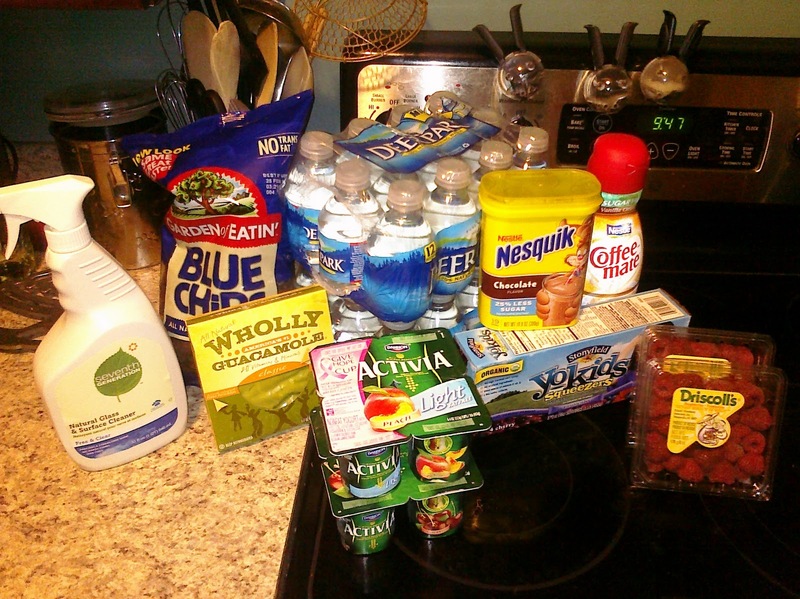 This comes from the Walmart website (I love Wal-Mart freebies!). 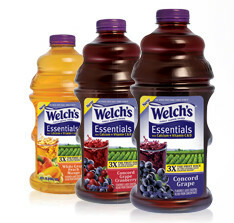 Freebie: Free Bottle of Welch's Essentials Juice Cocktail (64 oz. bottle!!!)! Head on over here to fill out your info for a FREE 64 oz. bottle of Welch's Essentials Juice Cocktail! The coupon should arrive via snail mail in about 10 days! I would hurry & request this . . . will be gone fast! 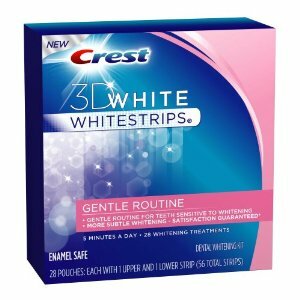 You can get Crest Whitestrips for only $9.06 from Amazon! This is the 28-strip Gentle Routine Enamel Safe Kit. They're normally $39.99, so this is an awesome deal. Here's what to do . . .
You will not see the total until the last page when you review your order. The total will be $9.06 & free shipping with Prime!